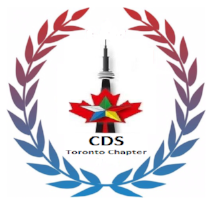 This letter is being written on behalf of the Social Affairs Committee of the Canadian Druze Society (“CDS”). Given the aging population in Ontario, one of the biggest challenges our community is facing is having a sufficient number of cemetery lots. 2. pay your yearly membership which is $120 per year. The CDS has been investing in cemetery lots regularly. However, there are currently opportunities to purchase new lots around Hwy #404 & Stouffville Side Road. The CDS would like to take advantage of those opportunities. Planning for the future is extremely important so please support the CDS at this time so that we can continue helping our community. Please note that your initiation donation and your membership fees must be paid by December 31 of every calendar year. For further information, please email cds@rogers.com. أولاً: من الضروري أن نزيد عدد مدافن الجمعية الدرزية بما يتلاءم مع التحدي الكبير الذي نواجهه في ازدياد عدد المسنين بشكل عام في مقاطعة أونتاريو. ثانياً: لما كانت الجمعية الدرزية على اطلاع مستمر حول أوضاع المدافن بالنسبة لتوفرها وأسعارها وملاءمتها لحاجات الجالية الدرزية بشكل عام، نفيدكم علماً أنه متوفر في الوقت الحاضر عدد من المدافن برسم البيع في منطقة “ستوفيل” بمحاذاة الطريق السريع 404 ويمكن الاستفادة من هذا العرض بالحصول على عدد منها بسعر اليوم خاصة أن الأسعار، كما يعرف الجميع، هي بتصاعدٍ مستمر. ثالثاً: تقوم الجمعية الدرزية بكامل واجباتها الاجتماعية تجاه أعضائها بالرغم من ضيق الموارد المالية ذلك أن موجوداتها غير المنقولة محصورة بالبيت الدرزي والمدافن التي تملكها في كل من تورنتو، إيجاكس، مسيساغا وبرامتن. 1ـ تسديد مبلغ ألف دولار كندي (1000) لمرة واحدة فقط والحصول على إيصال استقطاع ضرائبي. 2ـ تسديد بدل العضوية السنوي والبالغ ماية وعشرون دولار كندي (120). ملاحظة: يجب أن يتم تسديد المتوجبات قبل 31/12 من كل تقويم سنوي. إن التخطيط للمستقبل هو بغاية من الأهمية. نعول على تفهمكم ورغبتكم الأكيدة في تلبية النداء ونرجو الإستجابة الفورية لما يحقق حفظ الكرامة العامة لأهلنا وأجيالنا. وليد الأعور، سائد أبو شقرا، محمد أبو حمدان، سهيل الحلبي، أكرم أبو شرف، أمين يونس وبشير أبو الحسن. Hope you had a pleasant summer and are off to a fruitful start for your academic year! We are resuming the Tawhid Manners and Principles Online Sessions for all 3 age groups, starting Sunday Sept 23, 2018. Ages 7-9 sessions will be from September 23, 2018 through December 2, 2018 (8 sessions). Ages 10-13 sessions will be from December 9, 2018 through February 24, 2019 (8 sessions). Ages 14-17 sessions will be from March 3, 2018 through May 5, 2019 (8 sessions). Please share this message with fellow Druze community members. We look forward to your participation and feedback! Refreshments will be served at this gathering. We are inviting you to participate in discovering a relaxing and modern way to rejuvenate our cells and relieve every day stress and illnesses by practicing Hatha yoga. Nowadays our lifestyle has led us to be more prone to heart diseases, osteoporosis and inbalances in our nervous system. Hatha yoga postures help us to prevent these diseases as we learn how to breathe properly, thus feeding our organs and cells with the sufficient amount of oxygen. Please join us in a private free of charge class where the professional yoga instructor Randa Jawhari from Lebanon will be giving tips and nutritional advise to live better and create an inner peace within ourselves. She will be explaining each posture’s benefits and their connection with improving the health of our organs. Note – please wear cotton long sleeve top and pants and bring a yoga Matt/ blanket and a towel . Don’t eat 2 hrs before the session . Place : Our favourite meeting spot, the Druze house . All you can eat for only $10 adults, $5 kids and youth (5 to 16) and no charge for kids under 5 . Feel free to bring a dessert plate to share with everyone! For those interested in attending, there will be a meeting at the Druze House on Sunday, August 26 at 11:00 a.m. to discuss the donations to be sent to Swieda, Syria. Please join us for a religious Skype seminar with Dr. Farook Hamzi on August 21st from 8pm-10pm. This event is for all ages. We will discuss, among other things, the meaning of Eid Al Adha. For those with children 12 and under, please arrive at 7:00 pm as we have organized a few Adha related activities for the children.